CARACAS, February 11. /TASS/. 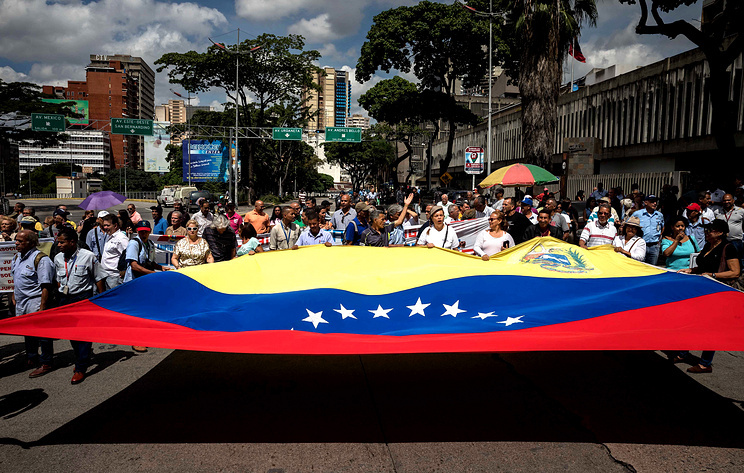 Venezuela does not reject other countries’ assistance, but it should be legitimate, First Vice President of Venezuela’s National Constituent Assembly and Deputy Head of the United Socialist Party Tania Diaz told TASS. “Venezuela does not reject other countries’ assistance, but it should be provided within the framework of international law,” she stressed. Juan Guaido, Venezuelan opposition leader and parliament speaker, whose appointment to that position had been cancelled by the country’s Supreme Court, declared himself interim president at a rally in the country’s capital of Caracas on January 23. Several countries, including the United States, Lima Group members (excluding Mexico), as well as the Organization of American States, recognized him as president. Venezuela’s incumbent President Nicolas Maduro blasted these actions as an attempted coup and said he was cutting diplomatic ties with the United States. Some European countries delivered an ultimatum on a snap presidential election to Maduro and recognized Guaido as interim president after it expired. Russia, Belarus, Bolivia, Iran, China, Cuba, Nicaragua, El Salvador, Syria and Turkey voiced support for Maduro.